Chemical precipitation can be slowed down, even halted, by certain compounds present in the water. Spontaneous inhibition causes problems if this precipitation is desired. If, on the other hand, this precipitation has to be avoided, inhibition can be induced by adding inhibitors. These organic compounds act either by forming relatively soluble “complexes” with the ions to be precipitated or by dispersing precipitation products. in surface water that is polluted by urban waste effluent, the presence of polyphosphates (sequestering agents) slows down crystal germination and growth rates and, consequently, causes them to be dispersed as colloids. In industrial wastewater such as that produced by gas scrubbing, the simultaneous presence of metal cations (Ni2+, Zn2+ …) and NH4+ determines the formation of relatively stable metal-ammonia complexes. The presence of silica increases the residual iron content as an iron-silica complex (see chapter drinking water treatment). 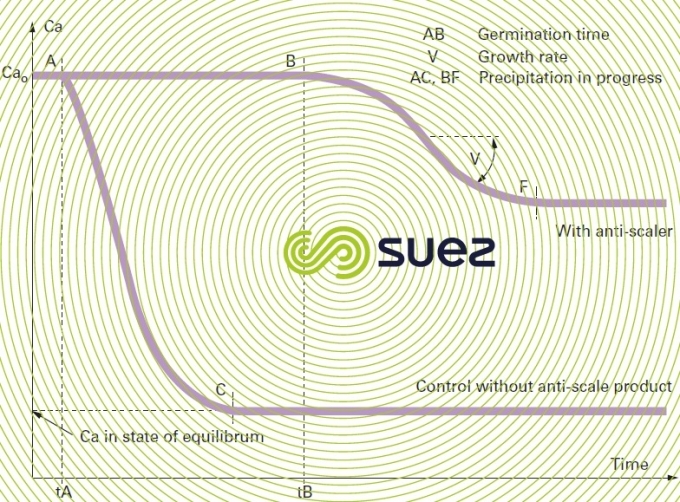 In supersaturated solutions, if small amounts of inhibitor, approximately 1 mg · L–1 are added, this will extend seed germination time and slow down seed growth (figure 10): this is the threshold effect. Action on the growth rate by altering the aspect of the precipitate allotropic variety, creating less danger of adhesion to the walls and, therefore, of scaling. Capacity for maintaining solid particles in a suspension in their divided state when they have a tendency to agglomerate. This ability is caused by the polymer’s adsorption on the particles or by the action of their electrical charges (enhancing their pH). Some products, used in large amounts, can take salts that have already precipitated onto the walls and reinstate them as a solution or a suspension (partial clean or descaling aid). Property of being able to include anions or cations in their molecule in order to form, despite the absence of a precipitating agent, new compounds that are soluble and stable. Complexing requires large quantities of the product. These have been used above all in boiler water containing traces of hardness or when carrying out a descale but they are difficult to use. Due to cost considerations, we tend to use the “threshold effect” in preventive treatment, especially in cooling circuits, by using other groups. They form the best-known group. Polyphosphates proper have a linear structure and Mn+2Pn,O3n+1 as their general formula. The first terms in the sodium salts series are pyrophosphate: Na4P2O7 followed by the tripolyphosphate, Na4P2O7, NaPO3 or Na5P3O10. 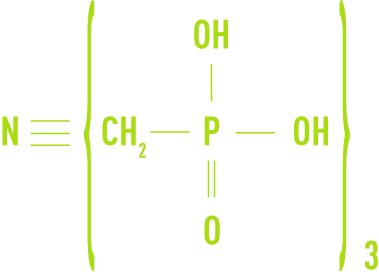 Polymetaphosphates have a cyclic structure and have (MPO3)n as their general formula. Their most well-known terms are the trimetaphosphate (NaPO3)3 and the hexametaphosphate (NaPO3)6. Commercial products sold under these designations are often mixtures where the prefix represents the mean degree of condensation. The retarding action is straight forward on calcium carbonate but a little less so on magnesia and calcium sulphate. As a rule, approximately 2 g · m–3 of polyphosphate will be required to stabilise water having a TH and a M-alk. of approximately 20°F. This amount will increase with the TH, M-alk., turbidity and utilisation temperature. French regulations on drinking water impose a maximum of 5 g · m–3 of polyphosphate, expressed as P2O5. 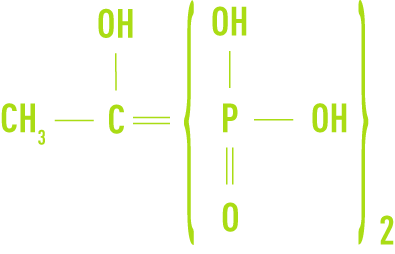 Polyphosphates are gradually broken down by hydrolysis, creating orthophosphate ions PO43–: hydrolysis rate increases with the medium’s temperature and acidity without being able to specify a precise threshold beyond which the polyphosphates will be destroyed. Their anti-scaling effectiveness becomes inconsistent beyond 60°C. At high temperatures, in the presence of calcium, there will even be the possible formation of tricalcium phosphate, a compound that is hardly soluble. 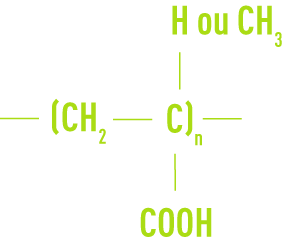 These compounds are usually produced in the form of concentrated solutions. They remain stable well beyond 100°C but are sensitive to the presence of available chlorine. Although these compounds are not toxic, their use in drinking water applications still remains subject to approval by the relevant authorities. The amounts used vary mainly according to the properties of the water and to the conditions governing the use of these compounds and also from one commercial product to the next. On average, approximately 1 g · m–3 as P2O5, or approximately 10 g · m–3 of the commercial product will be required. The P-C-P bond being more stable than the P-O-P bond means that these products can be used at high temperatures above 130°C, e.g. in evaporators. Polymers are combinations of different size molecules. 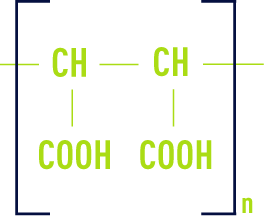 The polymer is defined on gramme-molecular weight and on the gramme-molecular weight distribution. easily biodegradable after being discharged. Formulations often include copolymers or terpolymers in order to enhance effectiveness depending on the target application. Naphthalene and polystyrene sulphonates are anionic in nature and can be combined with polyphosphates and phosphonates. Sodium tanate, derived from wood, is still being used in LP and MP boilers at the rate of 2 g · m–3 per °F of calcium. For more in-depth knowledge on scaling mechanisms and on the action of anti-tartar products, please refer to the Nalco-Water Handbook, for example.